Ascensor Digital Agency in Leeds provides web design and digital marketing services (including SEO and PPC) to business across the UK. Their web design and digital marketing services are constantly evolving, pushing boundaries and delivering exceptional results. Their strategic focus on website performance, return on investment and customer service has driven their digital agency forwards, for more than 10 years. 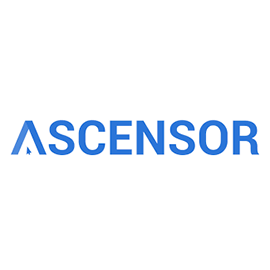 Ascensor have a proven track record of helping businesses like yours to get more from your digital assets, they can help you grow. Ascensor is looking for a Web Designer in Leeds, United Kingdom. If you meet the requirements below, you will be eligible to apply via Digital Marketing Community. Provide web sites and graphics. Support and supplement existing designs. Stay up to date with design trends, web methodologies and standards. Present Flash and Gif promotional assets and banners. Minimum 1 – year commercial experience. Demonstarted understanding of web standards. Expert knowledge of user interface design. Creative thinking and translation to design. Keep up-to-date with emerging web technologies Knowledge of html5 and css3. Production of Flash and GIF promotional assets and banners. Ability to explain technical concepts to non-technical clients and staff. Ability to interact professionally with a diverse group of both clients and staff. Great ability to manage time and workflow.